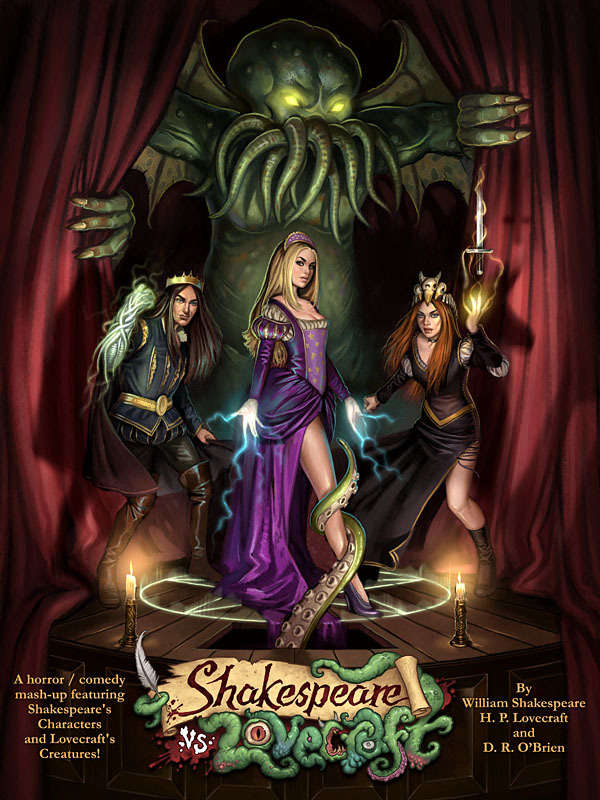 Literary metafiction mashups are all the rage these days, and it was inevitable that sooner or later someone would bring together two of the most famous literary giants, Shakespeare and Lovecraft. BD turns the indie spotlight on D.R. O’Brien who is adapting his own “Shakespeare Vs. Lovecraft” novella into graphic novel form for a bizarre tale of wit and eldritch terror. 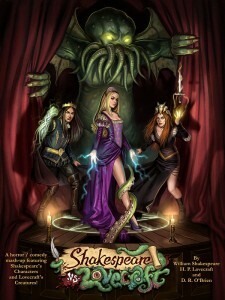 The story follows Prospero, who discovers the coveted Necronomicon, giving rise to Cthulhu and his pals. It’s up to Shakespeare’s greatest heroes to save the world from oblivion in what can only be an outlandish horror comedy. Prospero, driven dangerously insane by prolonged exposure to the dread Necronomicon, makes a terrible pact with the titanic alien beast known only as Cthulhu. Now only his enchantress daughter Miranda and a handful of history’s greatest heroes are all that stand between humanity and blasphemous eternal subjugation. It’s a bloodbath of Shakespearean proportions as Cthulhu and his eldritch companions come at our protagonists from all manner of strange geometric angles in a hideous and savage battle for supremacy. 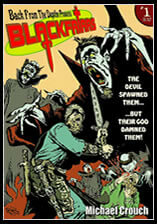 We’ve got a preview of the graphic novel adaptation too with some great art by Curt Sibling. So what can really go wrong with ordering some Taco Stix®? Apparently a lot, and The Awakened is here to explore just that. Let’s start off simply with the colors, man do they POP off of every single page. I guess in the near future this creative team thinks we are going to be all neon, and well it makes this book so visually attractive. Jensen’s cast looks amazing from panel to panel. I really enjoy the look of the demons, as they come across as almost a half vampire half crazy albino. There are some scenes where things did get a little muddied up, but overall this book looks great. 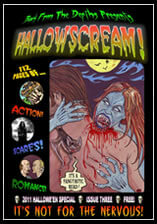 The story was an action packed horror/hero blast that was like a straight punch to the face. James’ writing never slowed down, and it left me on the edge of my seat throughout. I honestly was okay with how the issue ended, because it left me wanting more. So the actual writeup of what is taking place, or the back story, was just icing on the cake (it came at the end of the issue). On every level this book was a winner. It captured my attention and ran with it for a good 20 minutes. I can not wait to see what comes next, lets just hope that issue gets here soon. 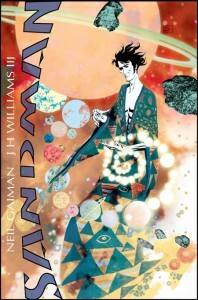 A few years ago, Neil Gaiman was approached by DC Comics to write a new chapter in the Sandman series. He referred to it as Sandman Zero, it would tell the story of what Dream was up to, when he was captured by humans, trying to enslave Death. However, Gaiman describes the contract offered as less than ideal, giving him similar terms as when he began the book. And, that as a sucessful and famous fantasy author, his added value was considerable. 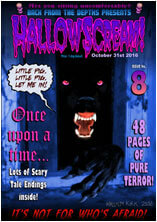 He proposed a solution, to increase the percentage on his other Sandman work being printed over a much longer period of time, that would make up for the loss. 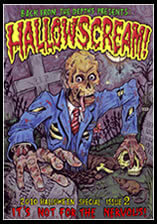 DC Comics declined, so Gaiman went on to write the novel The Graveyard book instead, which did very well. Now, seemingly in the light of Before Watchmen, DC have approached Neil Gaiman again. 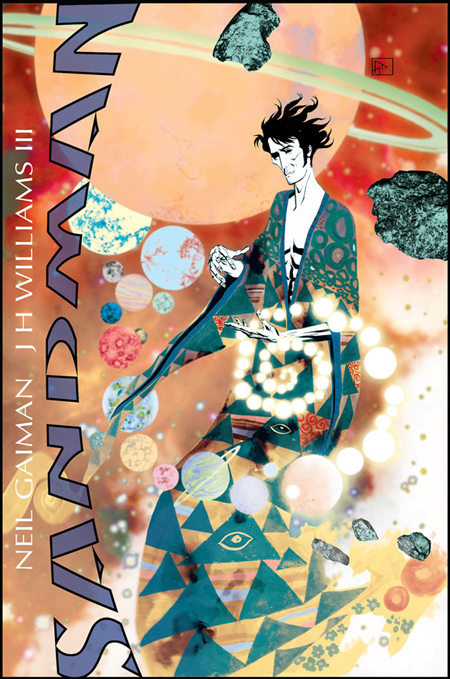 And based on the bar talk at San Diego last night, we can presume that this time, if it is indeed the same Sandman premise and not something new, negotiations have been more successful. And on art, is one artist who I was told had a new project, Batwoman and Promethea‘s JH Williams III. If true, one might expect an announcement sooner rather than later. DC Vertigo are publishing the new Sandman Slipcase Set, a new collection of Gaiman’s Neil Gaiman’s Midnight Days Deluxe Edition work and there is a prominent Sandman visual at the San Diego booth this year. I’d heard some rumours about Sandman being reintroduced into the New52 recently that were denied at the highest levels, so I didn’t report them. This one is far more widespread however, and also a tad more believable. Crime doesn’t pay when you have the hands of demons and the feet of the devil! Trauma Comics is back to bring you Kung Fu Satanist #1, and it is a delightfully sinful treat. The artwork in this book is great. I really like Juliette’s style, because I think it fits the main concept so well. The colors at times were a little too dark, but it doesn’t take anything away from the book. I loved the scene with the head spinning around. The story itself was nicely done. Sanchez does a great job throwing the reader right into the action and then slowing things down to build what is to come. 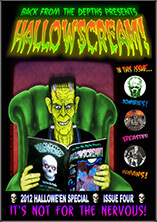 The book has a real grindhouse influence to it, and it shows on all levels. From the dialogue to the great fight/horror scenes, the team does a great job of capturing it all. This book is a fun read, something you can easily sit back and just enjoy without worrying about layers and layers of drama being poured down your throat. Check it out, I know I’m glad I did. See, now this is why you need to let the ladies in your life go out and have some fun every now and then. 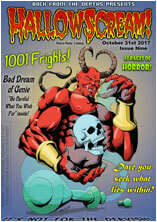 White Devil #1 explores that very statement and show how far some might go to get a little excitement in their lives. The artwork by Burns is amazing from panel to panel. He has a great feel for the cast, and the way his panels are laid out are just GORE-Geous. My only downside on the artwork though is the lettering. When using the hand written typeface, I had trouble reading it. It did take a little time to get used to, and it was the reason I had to lower the overall grade when it came to the artwork. The story by Evans and Helinski is going somewhere, and it’s going to be really good. This issue does a great job of introducing the reader to the cast, and then heads straight into the actions that will lead up to the next few issues. I thought that the pacing was great. I love the concept here and can not wait to see how this all unravels. 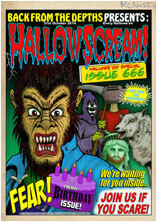 In terms of horror, this issue really ended on a high note, and that is what you need to get me to come back for more. This issue was almost perfect, and that is a damn good sign of things to come. With some minor tweaks on the lettering side of things this book is going to floor you all. 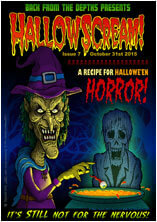 Definitely check this one out, especially while it is free to read online. More please!